This was the June 2012 promotion. 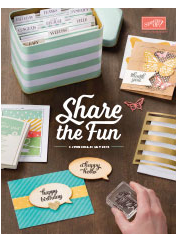 It was a great promotion because you received a FREE Stamp set for every $150 purchase. I've been pondering what to do with it!! !